NEXIS Classification: Type M (Morph) Desmodus rotundus. 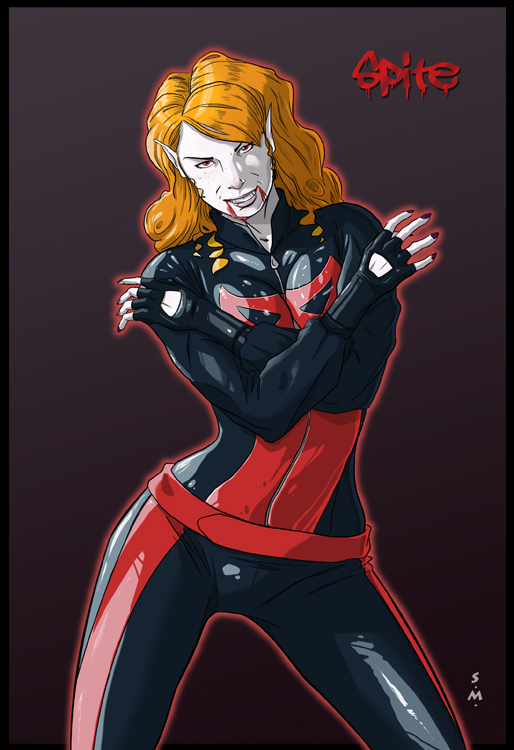 Wade gains strength from drinking blood, though she doesn’t need to drink blood to survive. Although she lacks pigment in her skin and eyes, many find her looks alluring to the point where people go out of their way to speak to her. She is naturally very tall and agile. The combination of her attributes makes her a very good hand-to-hand fighter. She rarely ever speaks, but when she does she has a very strong, assertive voice. 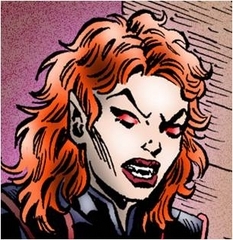 Her animal instincts kick in periodically and she’ll bare her fangs when upset, but can control her rage for the most part if she is on the medication. . .just don’t call her a vampire. Come closer. . . .